Viet Nam's cashew exports were worth US$1.1 billion in the first half of the year, a year-on-year increase of 28.2 per cent, according to the Viet Nam Cashew Association (Vinacas). Speaking at a meeting in HCM City yesterday, Vinacas chairman Nguyen Duc Thanh said the average export price in the period was higher than a year earlier as prolonged drought in many countries pushed up the prices of many kinds of nuts, including cashew. 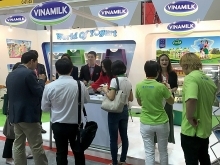 Vietnamese exports rose by only 14 per cent in volume terms in the period. The US, China and the Netherlands remained Viet Nam's largest buyers, accounting for 35.57 per cent, 14.66 per cent and 10.49 per cent of purchases. 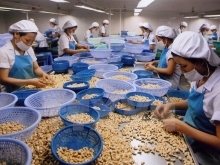 Thanh said stocks of nuts, including cashew, in North America and Europe had been low in the first six months, while global demand for the nuts had increased strongly. This offers good prospects for the cashew industry this year, he said. The industry is expected to earn $2.2 billion from export of 300,000 tonnes of cashew nut and another $200,000 - $300,000 from export of cashew shell oil, he said. Ta Quang Huyen, director of Hoang Son I Co, Ltd, said global demand for the nut has been forecast to go up strongly in the period from September to March, noting that he already had export orders for the year's latter months. Both Thanh and Huyen urged local processors and exporters to pay more attention than they are now to improving product quality and ensuring hygiene and food safety to enable exports. Nguyen Bai Duong, head of the agriculture ministry's pision for processing and preservation of farm produce, said the cashew industry has developed strongly in recent years and focused on improving technologies. As of the end of last year there had been 456 processing establishments with a capacity of more than 1.2 million tonnes of cashew nut a year, he said. But nearly 70 per cent of them were small-scale, he said, adding that the Government should reduce the number of small ones by closing down those that are unable to ensure food safety and hygiene. Huyen said the Government should set norms for processors. Nguyen Nhu Hien, deputy head of the Department of Crop Production, said the area under cashew had shrunk by 122,200ha since 2005 to 294,000ha last year when the output was 345,000 tonnes, a 59,068-tonne rise from the previous year. It met only about 35 per cent of processors' demand, he said. The country imports large quantities of raw cashew each year for processing. 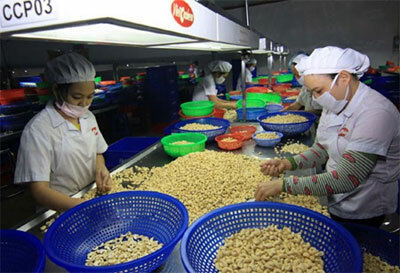 According to Vinacas, Viet Nam imported 197,500 tonnes of raw cashew in the first four months of this year, a 175.74 per cent increase year-on-year. Hien said authorities want to maintain the area under cashew at around 300,000ha and produce 450,000 tonnes by 2020, meeting 50 per cent of local demand./.